Our society is obsessed with action. The go-go-go mentality is growing. Many of us are overwhelmed with the rapidly increasing pace of daily life. Stress management is an important aspect of self-care. Sometimes allowing small moments for ourselves to do nothing gives us space to breathe and just be so we can recharge. I have found scheduling down time is important or it can be easily ignored. Taking time to enjoy a cup of tea is a wonderful method to cherish time with yourself. Not only are herbal teas filled with nutrients, but some have the ability to help us balance and calm as well. Herbs are an inexpensive and simple way to our boost health. A cup or two daily of these nerve-calming herbs can go a long way to support our mental health. Here are the top 5 favorite calming herbs used in my practice. To make a cup of tea, place one teaspoon to one tablespoon of dried or fresh herb into a ceramic or glass cup. Pour a cup of freshly boiled water over the herbs and steep covered for 5-15 minutes. The longer you steep your tea the more active it becomes. You can drink your teas hot or iced. Feel free to mix and match these herbs as well! This herb is near and dear to my heart. I found its support very helpful throughout medical school. 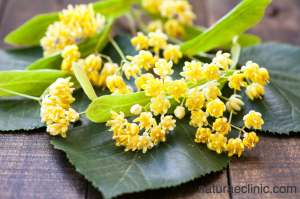 Linden is a wonderful calming herb. It has the ability to balance both the nervous and digestive systems. If you tend to have digestive issues when stress increases, this is a good choice for you. Tilia is also a great support for viral colds and flus. It boosts your immune system and can stimulate a healthy balanced fever. 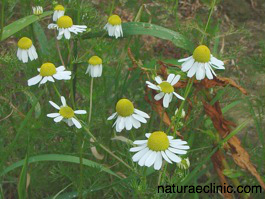 Chamomile is a gentle and effective herb. It is great with anxiety, calms inflammation, and soothes spasms. Please do not use this if you are allergic to Ragweed. 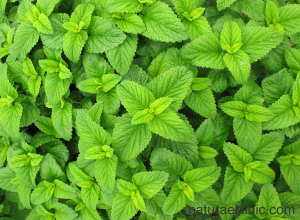 Lemonbalm is another gentle herb with broad action. It helps calm the nervous system and spasms. It also is anti-viral and can be used long term. Topically it can be helpful for managing viral infections like herpes. Schisandra is a berry called the five flavor fruit. It has every flavor: sweet, sour, pungent, bitter, and salty. It calms the nervous system, soothes spasms, protects the liver, and balances inflammation. Shisandra is a great tonic herb for the nervous, urinary, and immune systems. 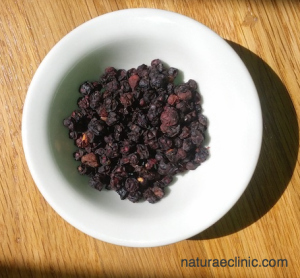 Do not use this berry in combination with stimulants like caffeine as it can cause hypertension. 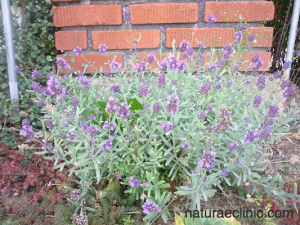 Lavender is a popular herb for anxiety. It also calms spasms throughout the body. Please do not use this herb if you have had an allergic reaction to it in the past. The benefits of these herbs go well beyond what we discussed here. Please do not use any of these herbs if you are reactive or allergic to them and consult your health care provider to choose the best options for you. Thank you for reading and sharing this post. If you know someone who can benefit, please pass this information along. Leave a comment below and sign up for information to help you continue building your health! Take a moment to sit down with a nice cup of tea, take a few deep breaths, and enjoy your moment of calm!